Before we began on the big project, we carved some relatively easy (so we thought) jack-o-lanterns first. I found myself struggling to carve even the simplest one, the happy face jack-o-lantern, and by the time I finished with the third pumpkin, my hands were hurting so much that the idea of carving the dragon one was out of the question. The level of carving difficulty rated for the stencils we used was EASY. I think I need to fine tune my carving skills a whole lot more before I set out to carve a dragon. These are our jack-o-lanterns, a (supposed to be) haunted house, happy face, and an owl sitting on a branch. Happy Halloween everyone!! Have fun and be safe!! haha! at first glance, i can't believe you actually make that dragon! it seemed almost impossible for amateurs like us. then reading through, i started to realize it was the level that you were trying to set. i like the one with the owl! would love to try to carve one myself, but as painful as it sounds, it looked fun! Hi RoseBelle! well done! why don't you post some pics of them lit up?? Actually you've alrealy done a great job! I like the one with the owl! Good job Rosebelle! 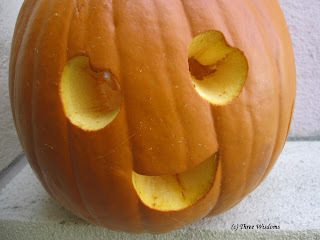 I would love to try carving a pumpkin. It's not an easy job I know..Happy Haloween 2 u! There are so many good ideas out there! It would be nice to have the time, skill, motivation, and tools to do all these cool things! 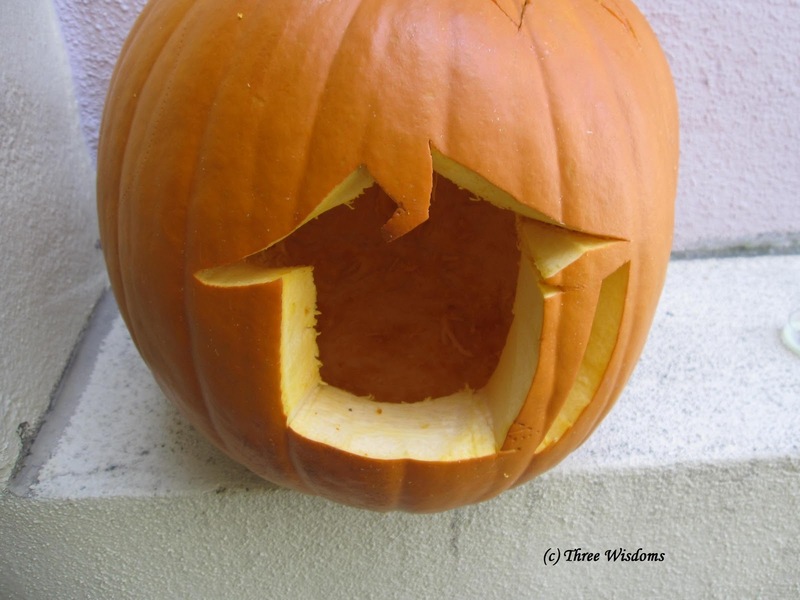 We saw a show today where they used drills, different gouging tools, christmas lights and all, and my daughter was like, REAL people don't have all those tools to carve their pumpkins. Anyway, your pumpkins themselves look perfect and the designs are perfect too! You're already on your way to carving pumpkins! I haven't tried one at all. 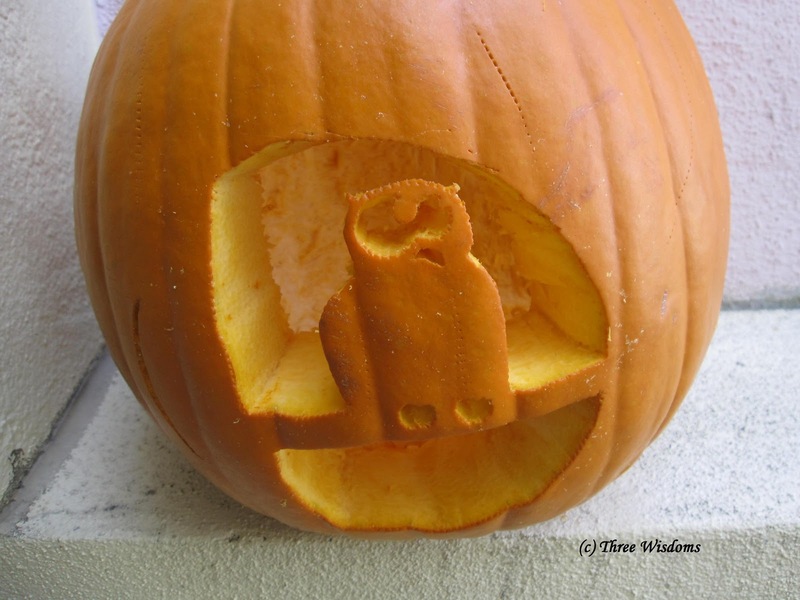 The owl sure sure looks good. Can't believe I missed this nice post for Halloween! I like the owl one the most! So cute! I like the last one with the owl! Very cute! Just getting caught up, been under the weather for a bit. I think the Halloween pumpkins were all great.